To celebrate the launch of celebrity chef and Masterchef SA judge Benny Masekwameng’s and Tsogo Sun’s #Benfie competition, Janine and I were treated to an afternoon of culinary fun and great canapés at Punchinello’s Restaurant at Southern Sun Montecasino. The event kicked off with a demonstration from Chef Benny on how to turn a simple dish into one that is worthy of serving at Tsogo Sun. 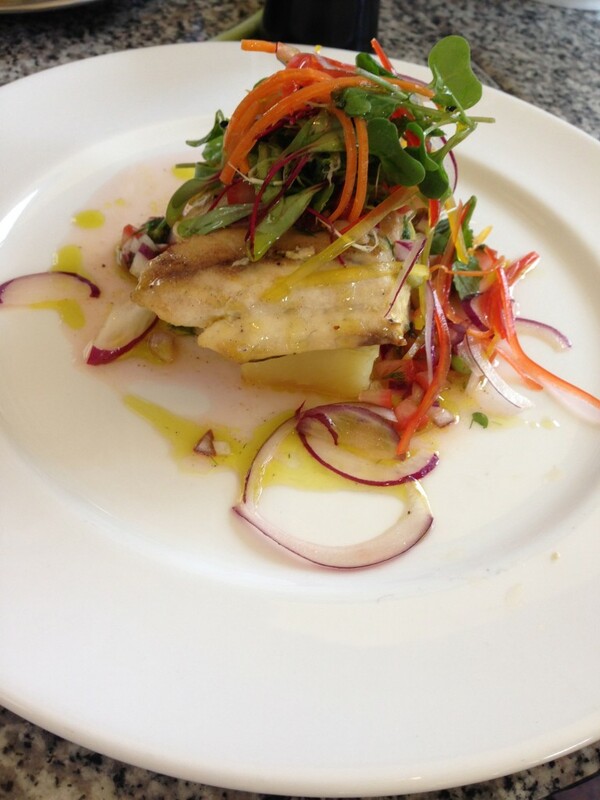 We learnt how to present a seabass and roast potato, by using creative cutting techniques and trendy garnishes. After the demo, we were tasked with presenting a custard dessert worthy of a “thumbs up” from the chef himself. We really thought our “Benny’s Triple Decker” would get the nod, but unfortunately we lost out – perhaps we should stick to writing? 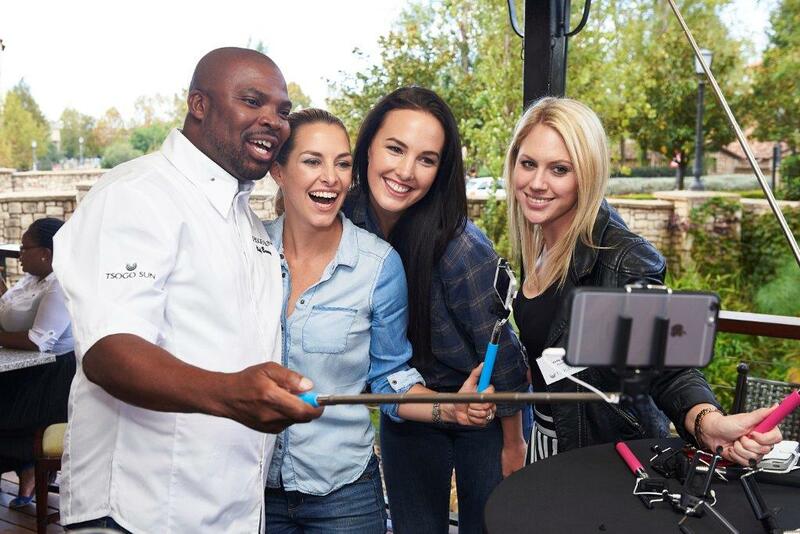 The afternoon ended with a few #Benfies – using selfie sticks with Chef Benny – by everyone who attended. SA Home Owner readers can also join in on the #Benfie fun. Benny will be travelling between Cape Town, Johannesburg and Durban from 23 April to 2 May 2015. 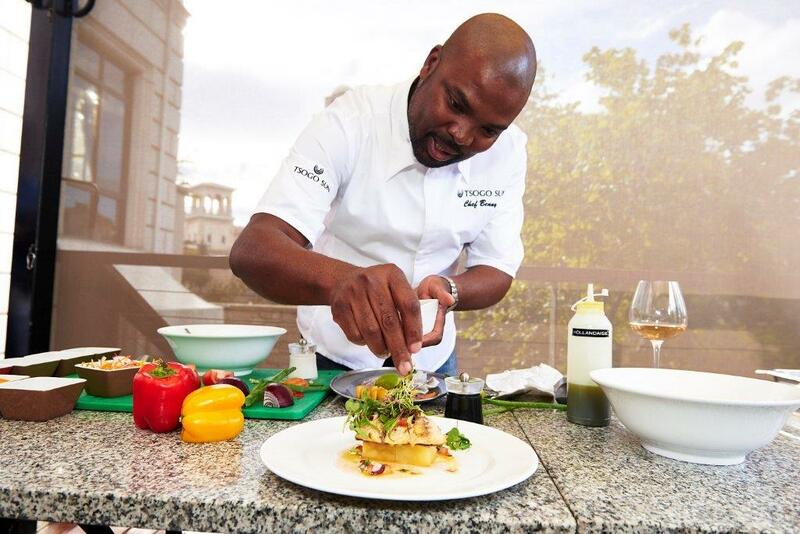 Foodie fans can track him down using clues posted on the Tsogo Sun Facebook page, and @TsogoSun Twitter and Instagram accounts around the same period. Once fans have figured out where Benny is, all they need to do is snap a photo of themselves with him and post it on Twitter or Instagram using the hashtag #Benfie. All entrants stand a chance of winning one of three exclusive getaways on offer.